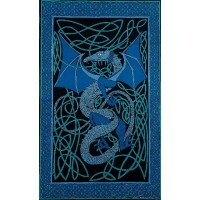 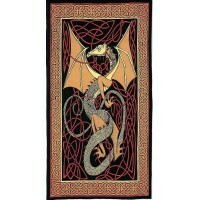 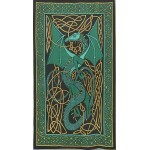 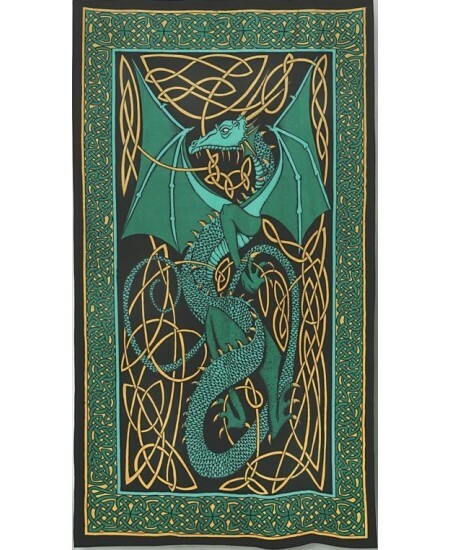 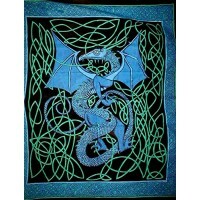 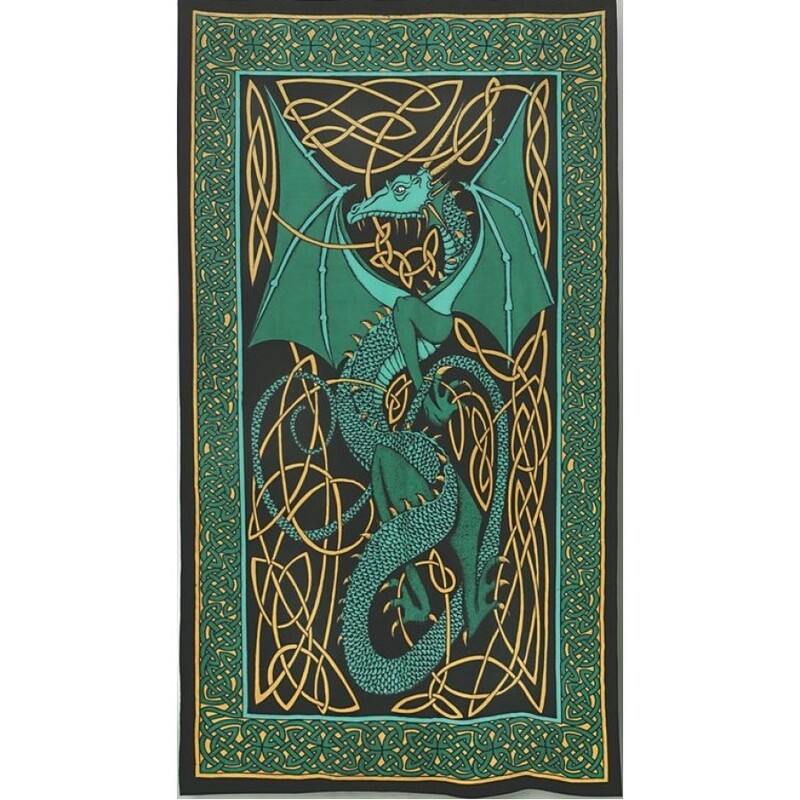 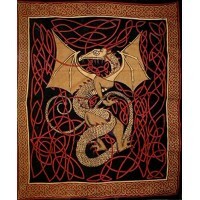 This stunning twin size tapestry, tablecloth or bedspread features a Celtic Dragon in shades of teal green with a border of Celtic Knots. 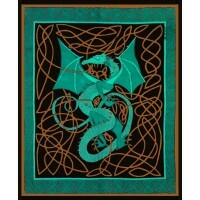 Hand loomed 100% cotton fabric is machine washable and gorgeous! 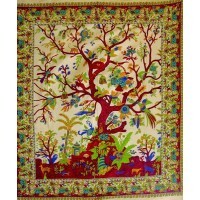 Made in India using vegetable dyes, the twin size is a 70 x 104 inches. 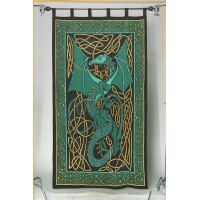 Item Number: IA-SS074-16 | Approximate Size (Inches): 70.00 wide x 0.00 deep x 104.00 high | Approximate Shipping Weight: 1.50 lbs.